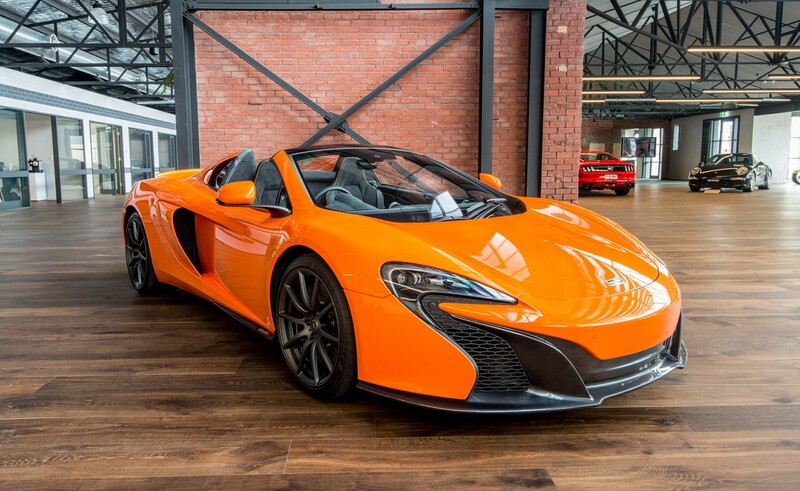 New car warranty until November 2017. 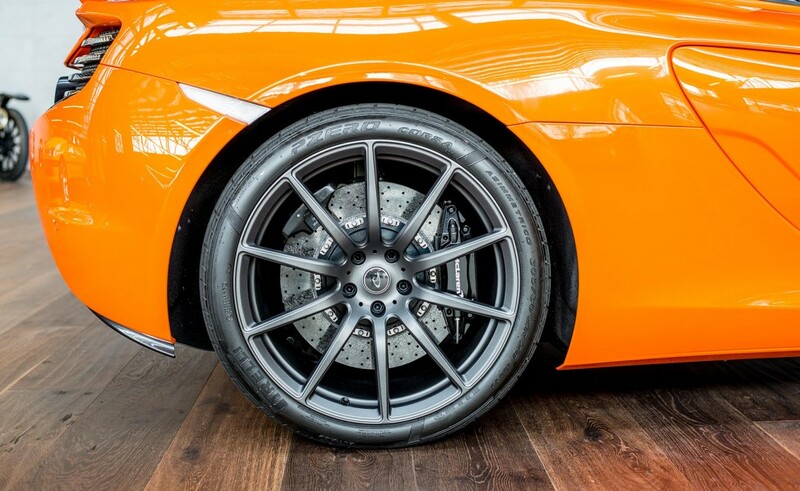 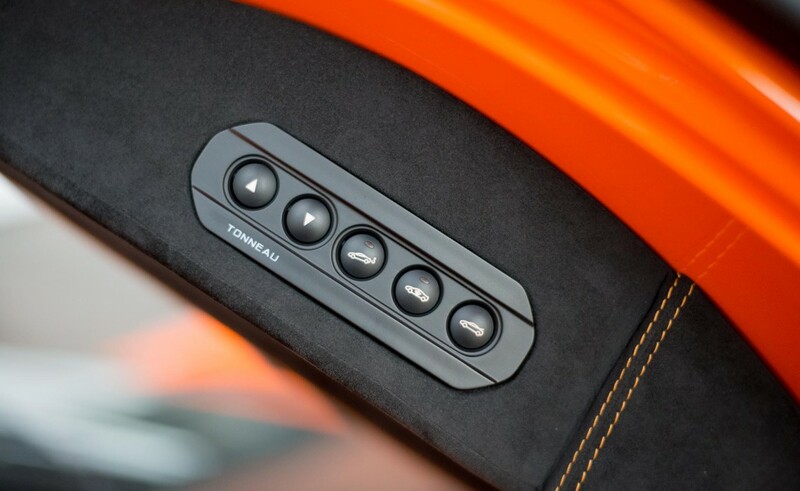 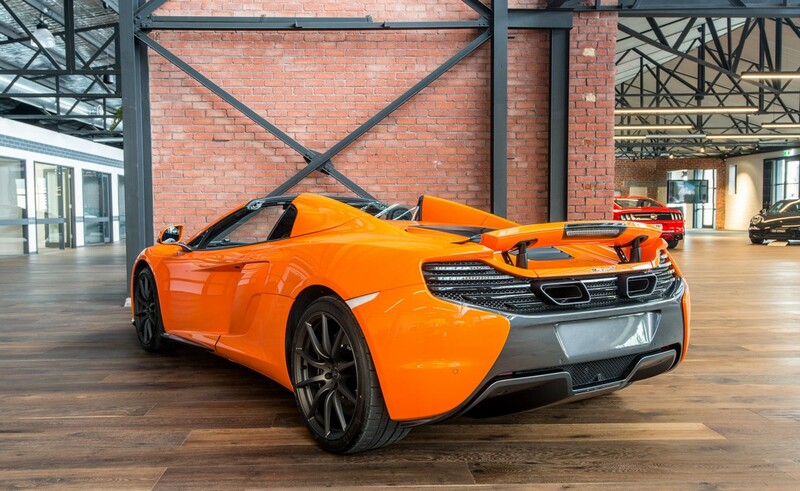 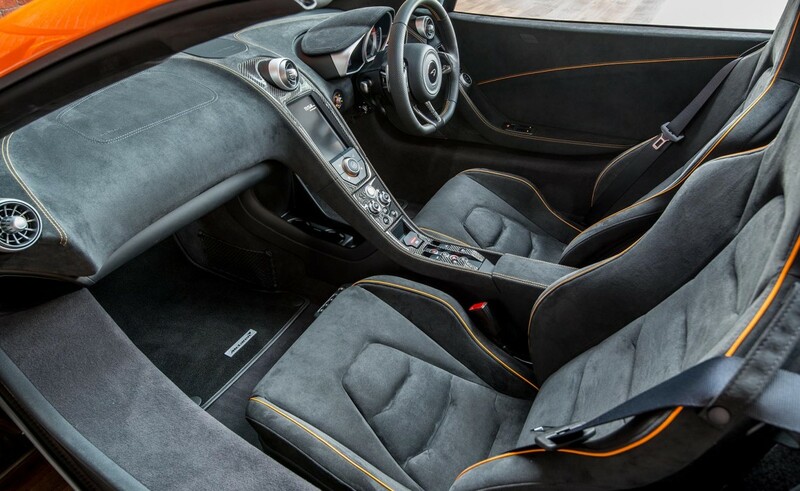 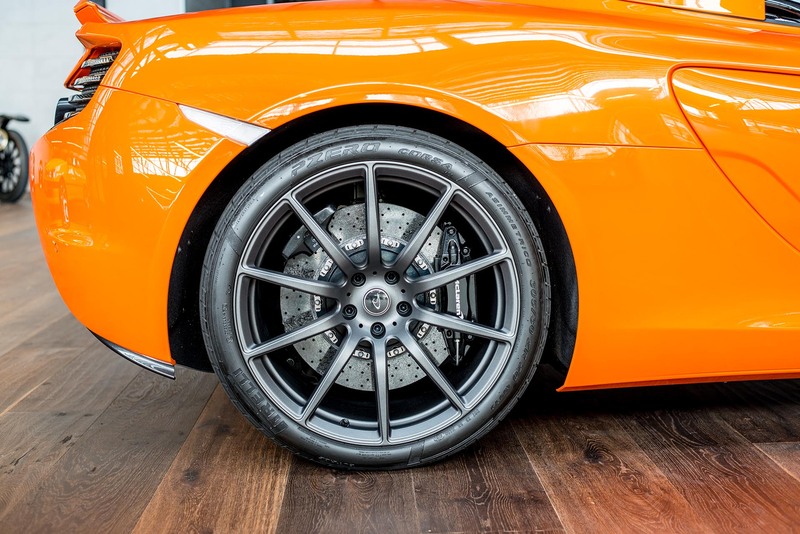 Tarocco orange metallic (very glossy - a superb finish) with black alcantara interior highlighted with orange piping. 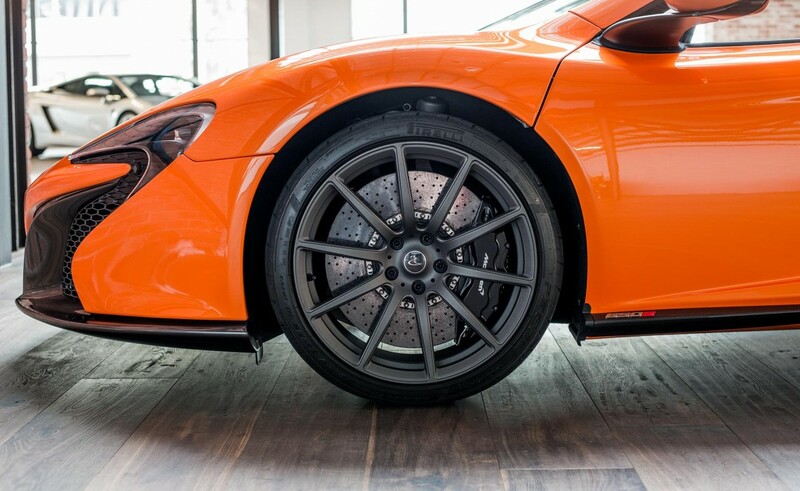 Sports exhaust, super lightweight forged wheels with Stealth wheel finish, carbon fibre interior upgrade, vehicle lift system, parking sensors front and rear, electric steering column adjustment, contrast piping and stitching. 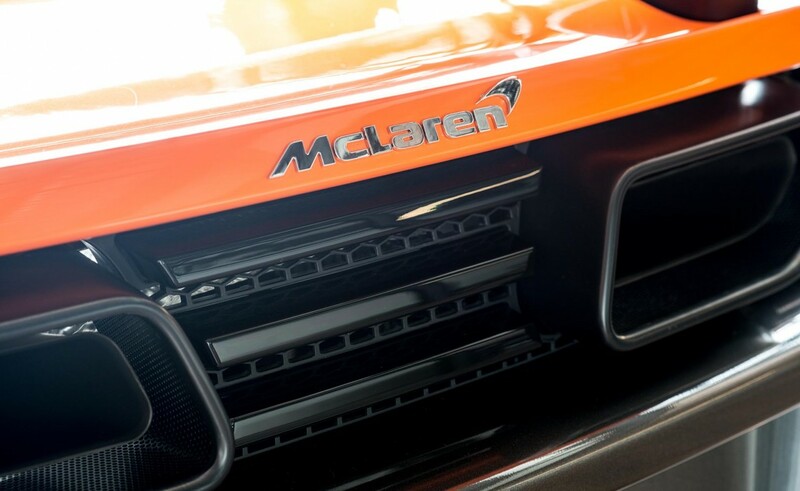 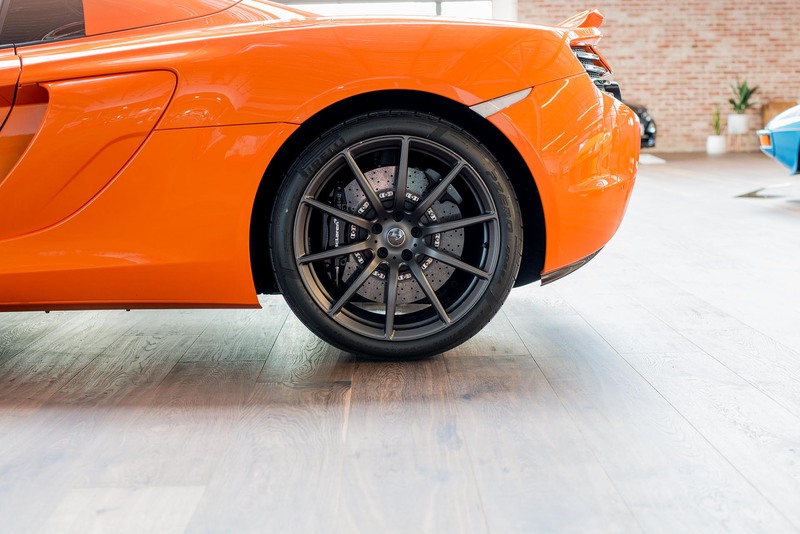 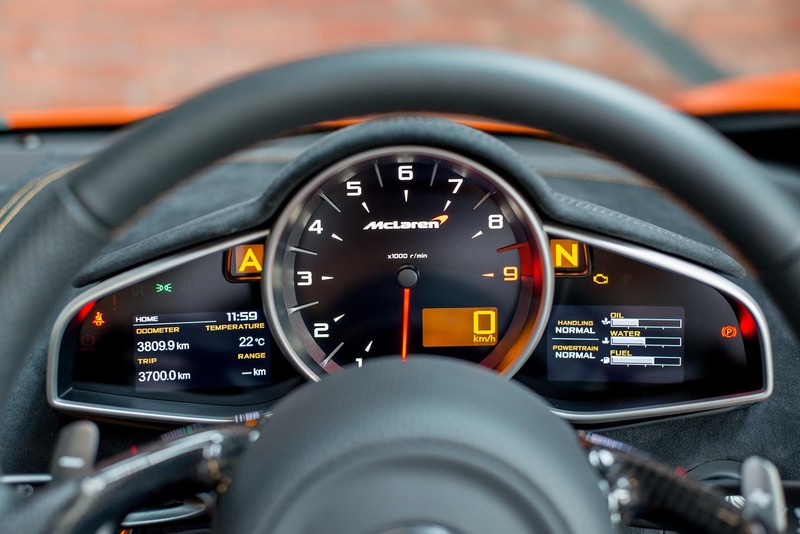 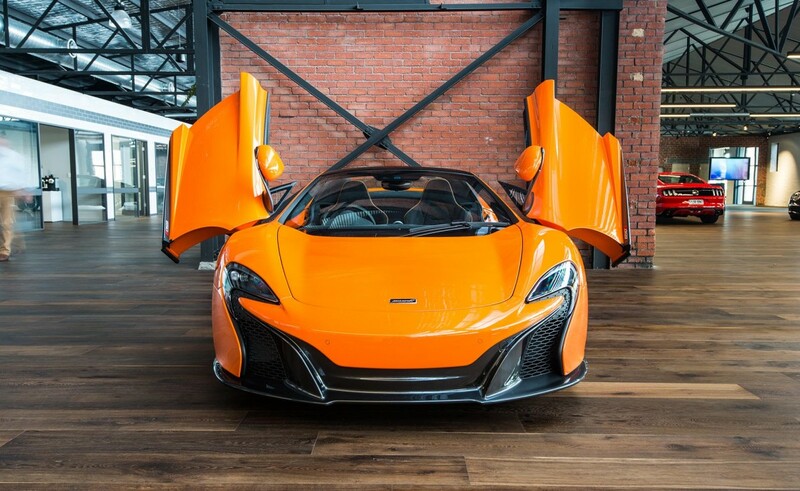 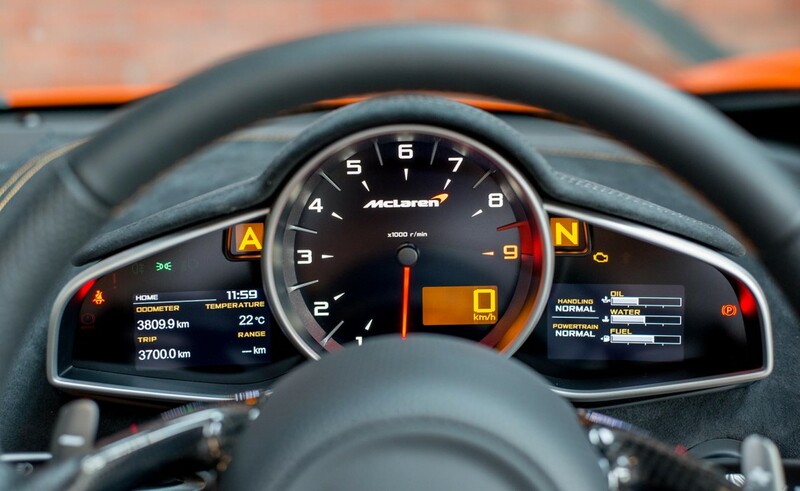 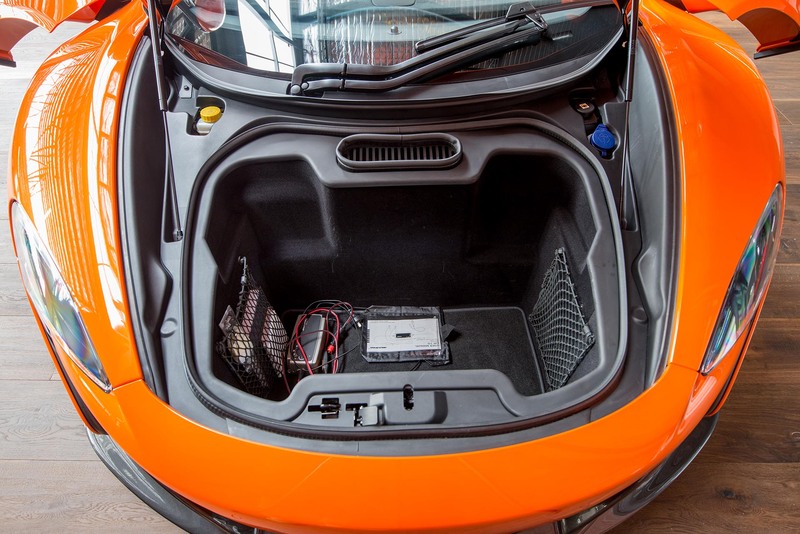 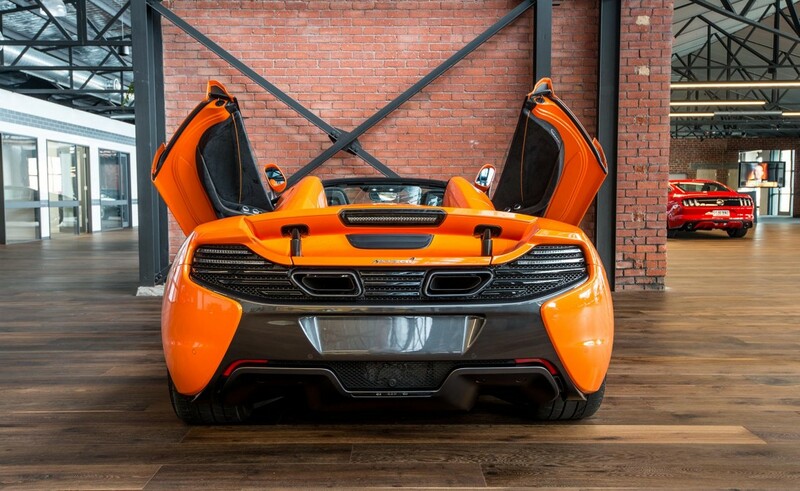 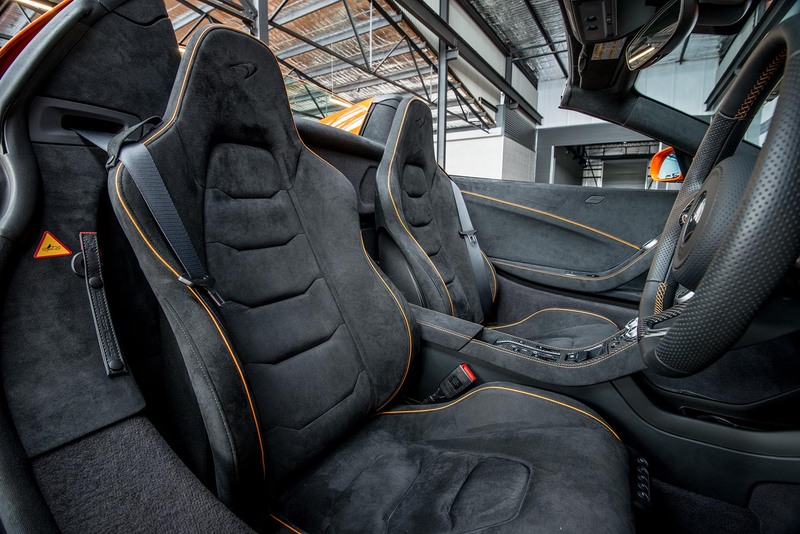 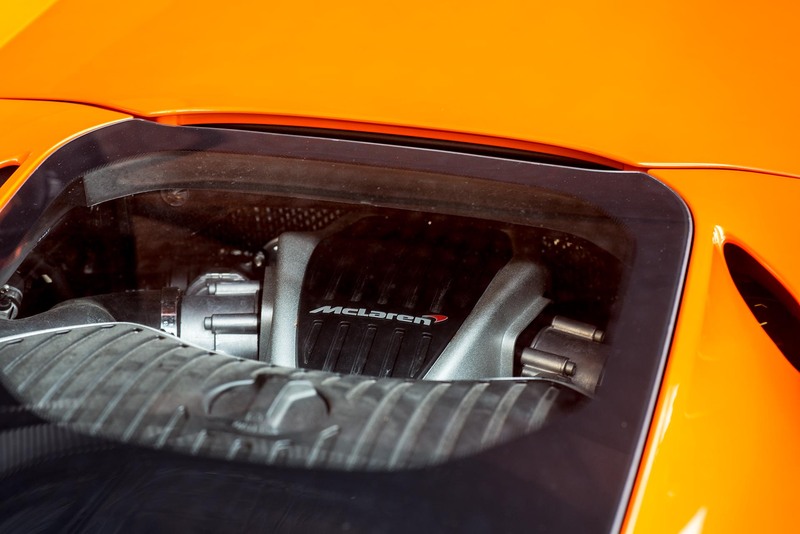 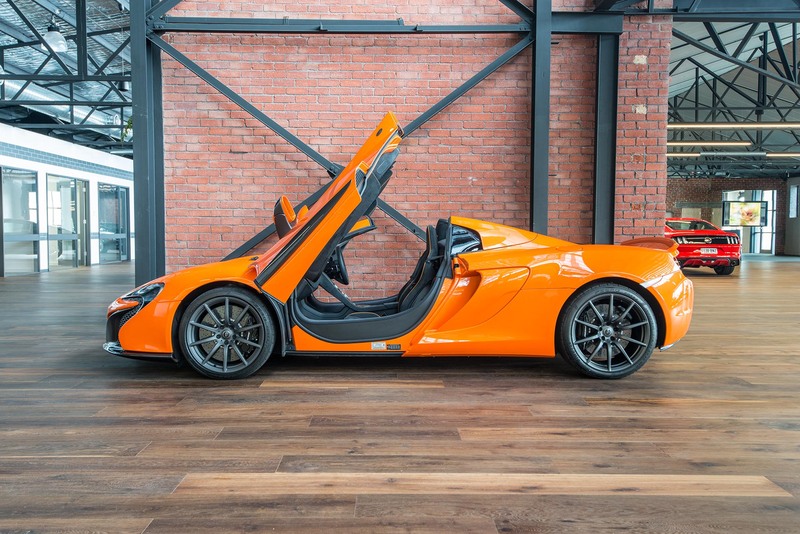 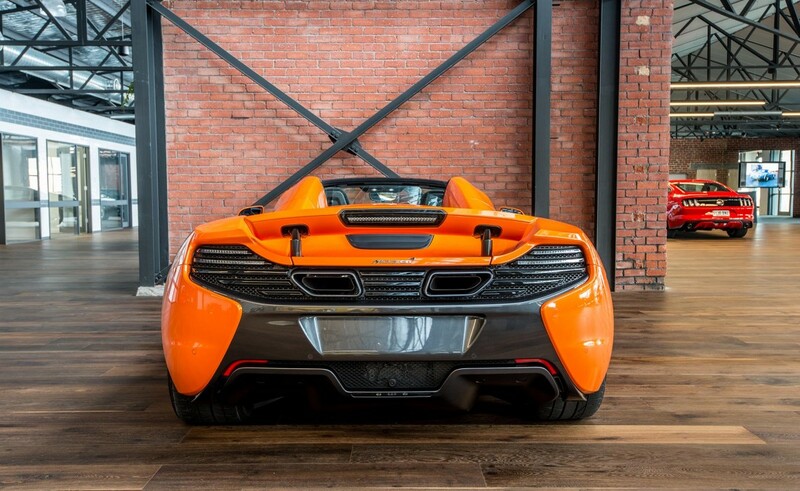 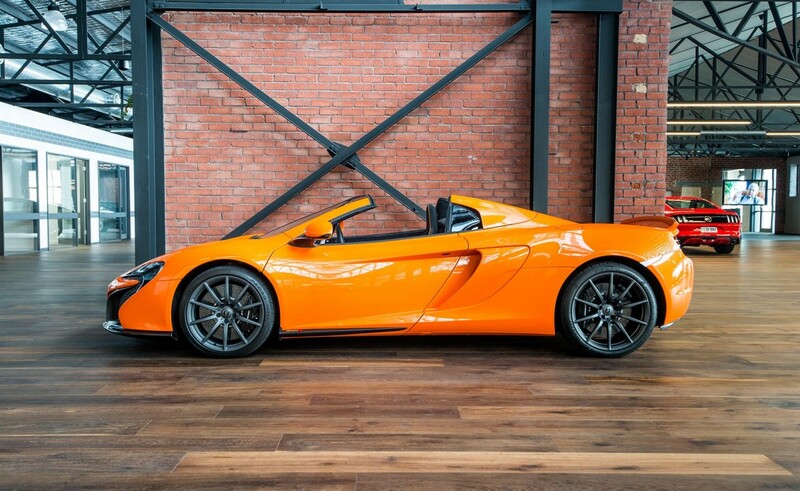 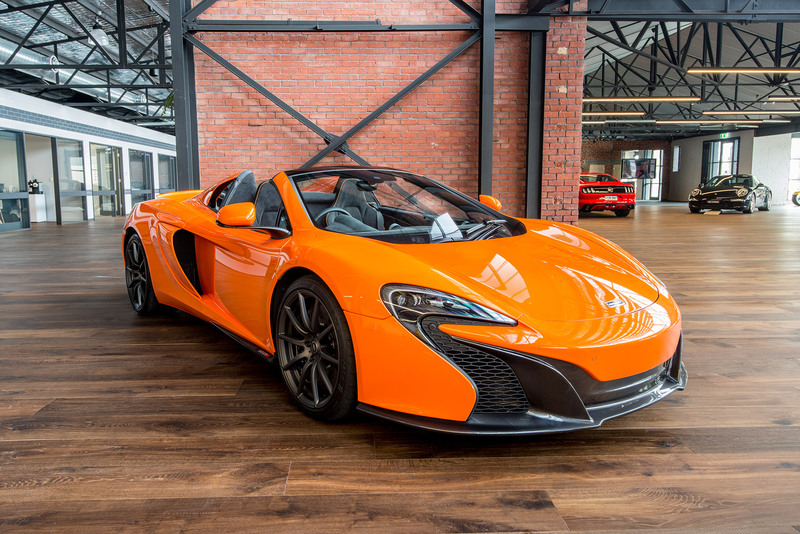 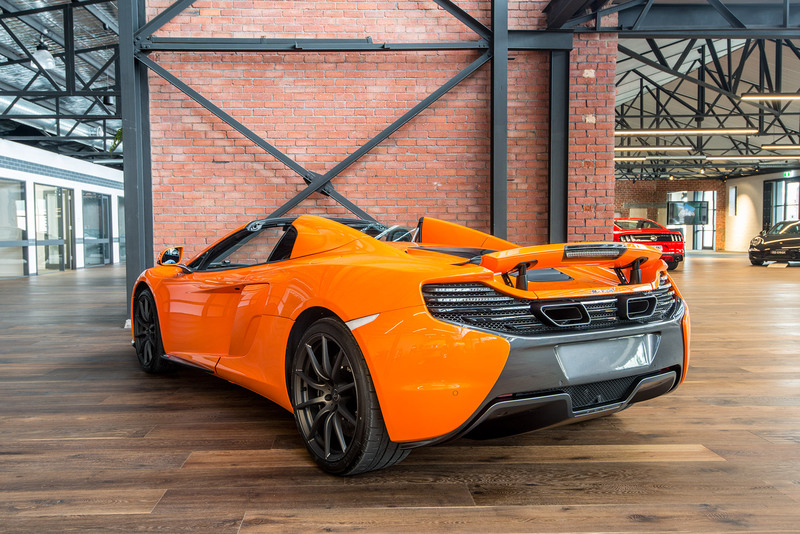 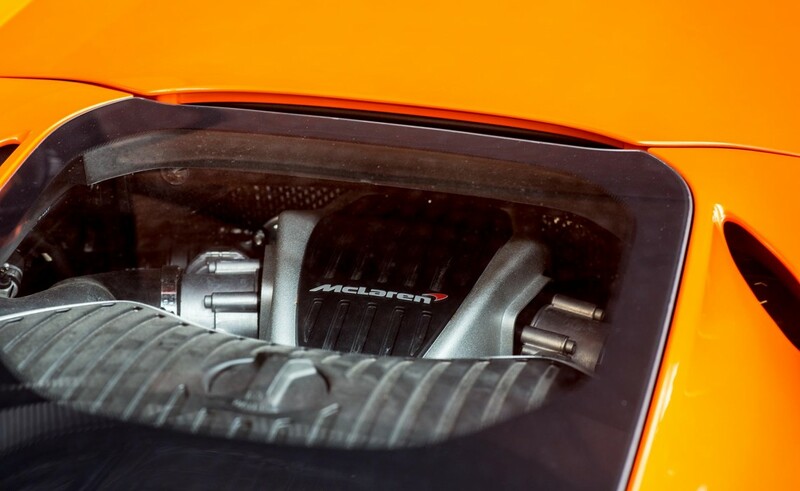 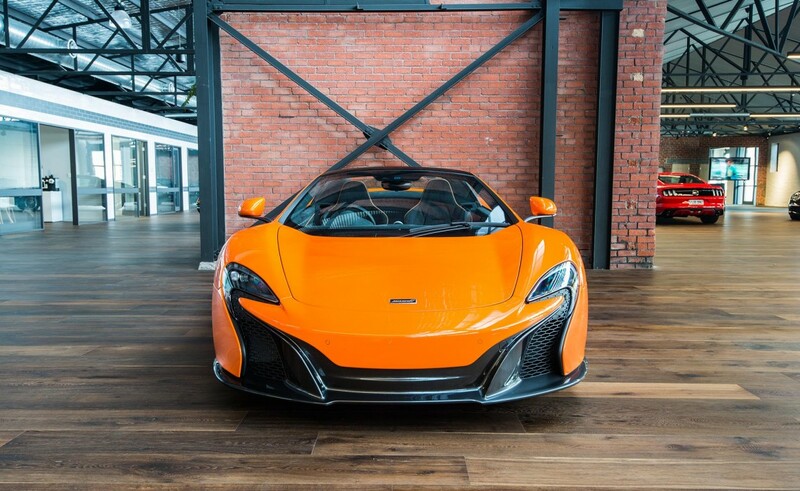 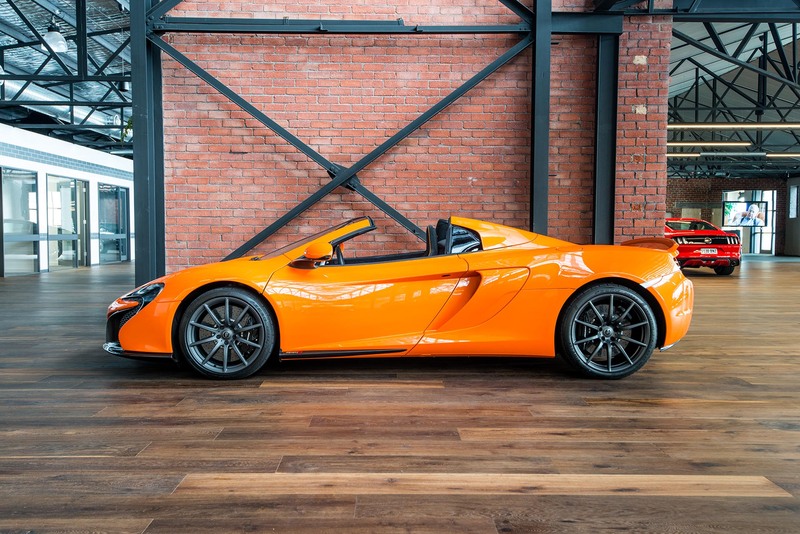 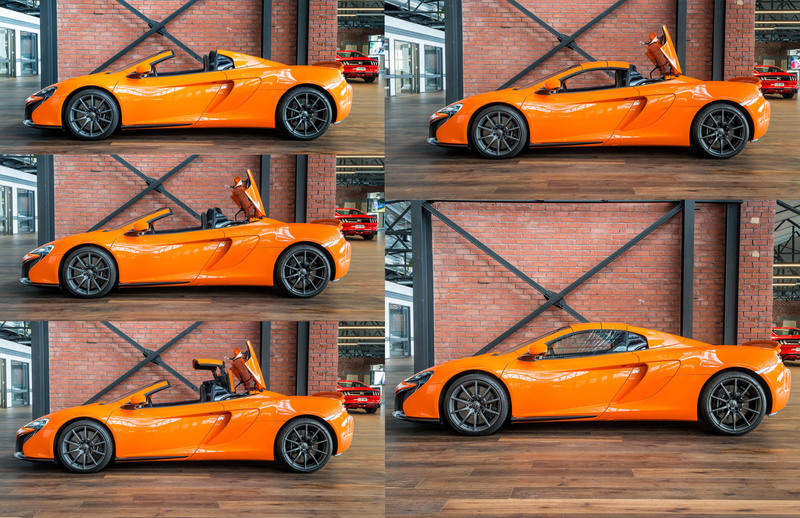 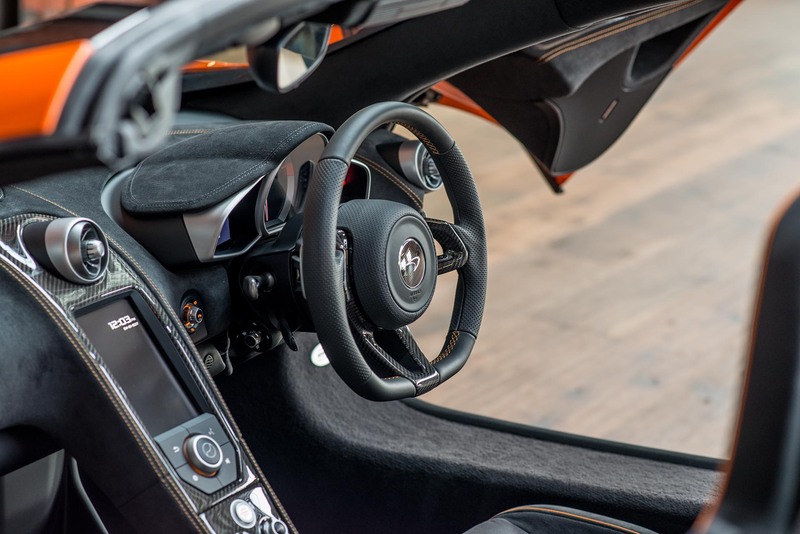 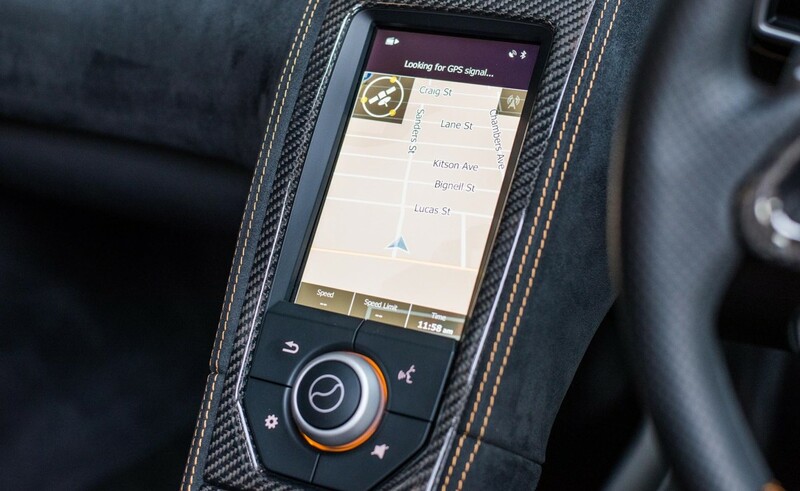 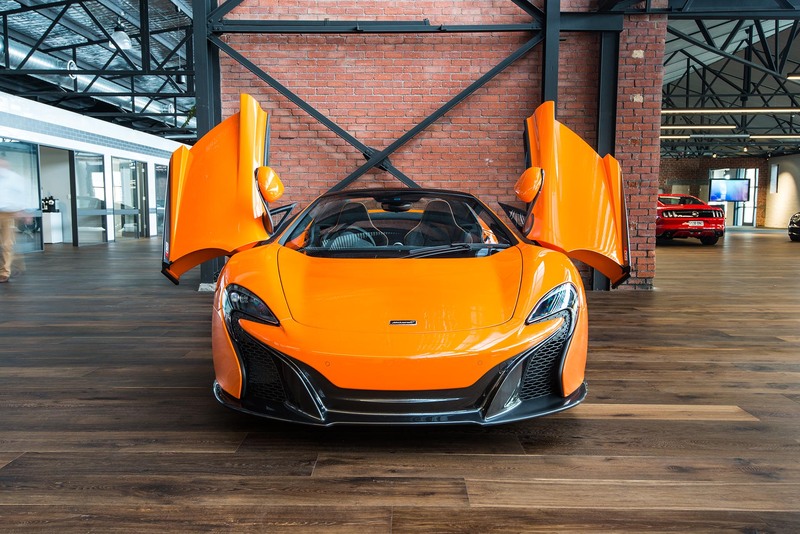 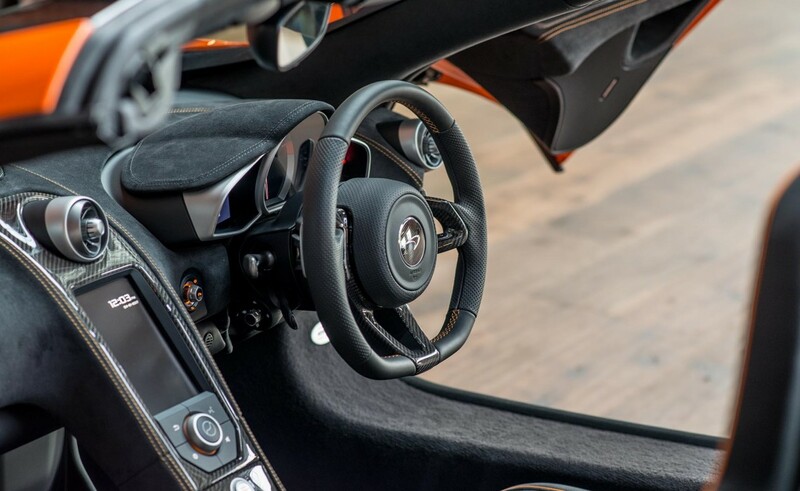 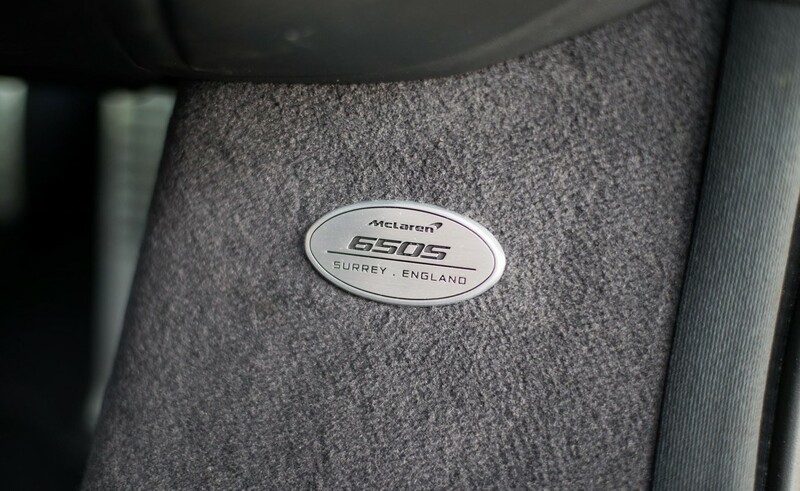 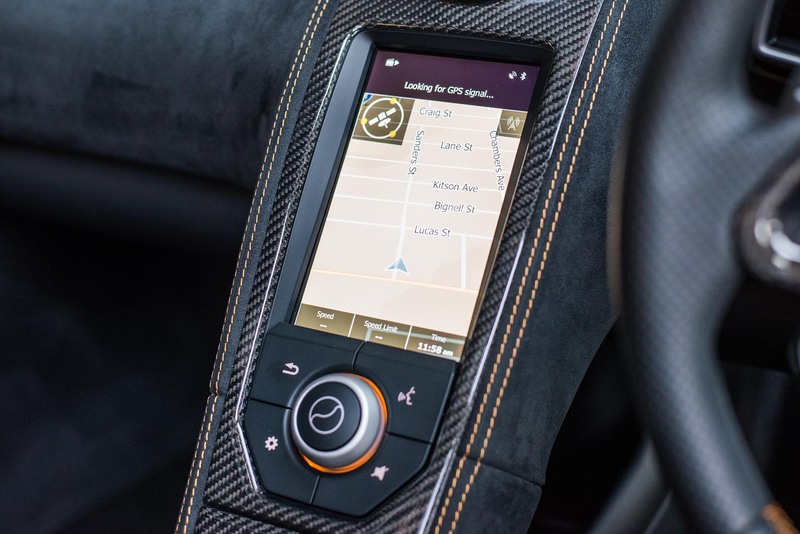 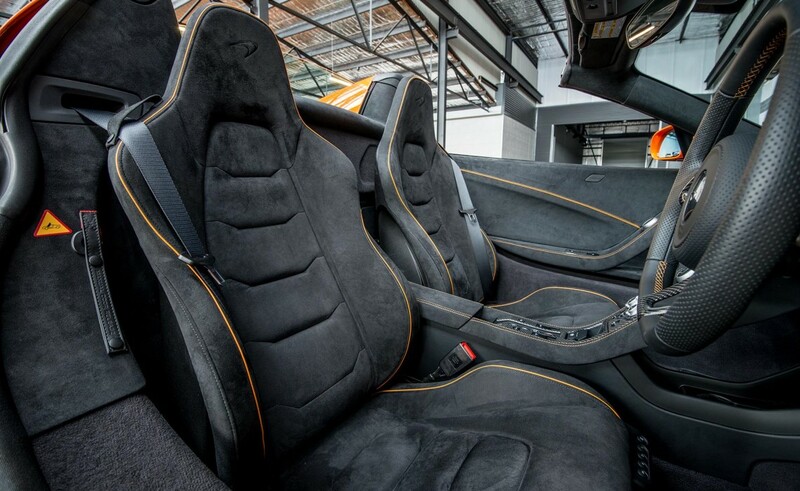 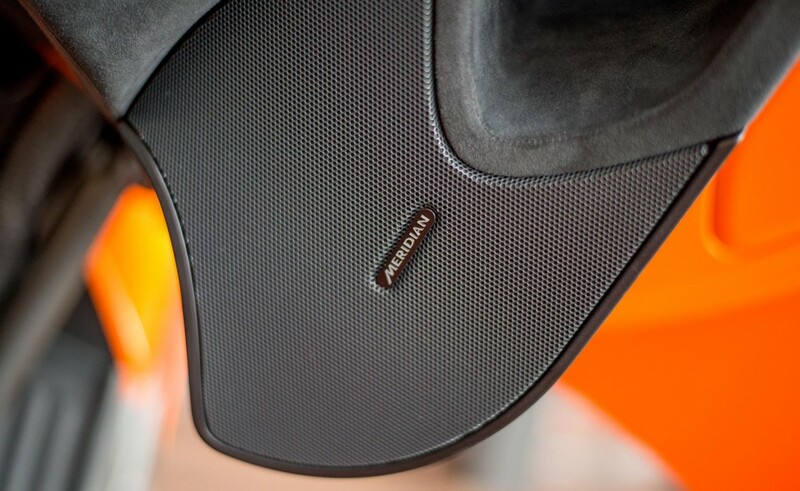 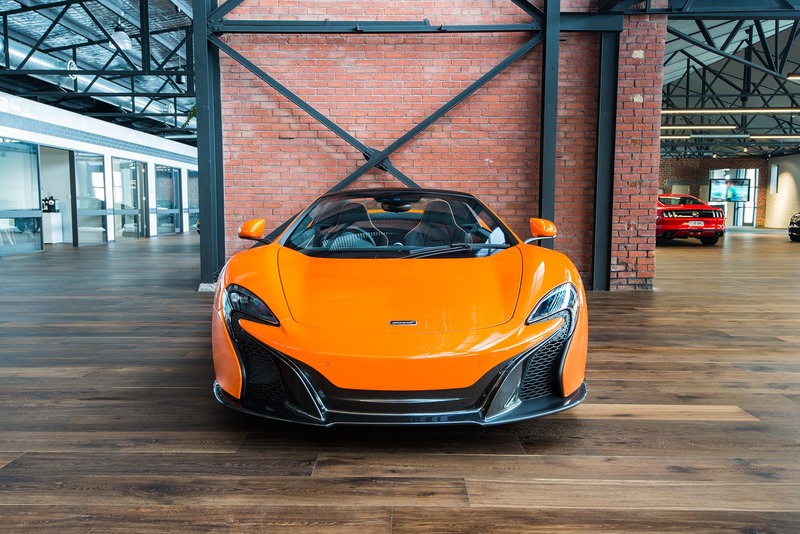 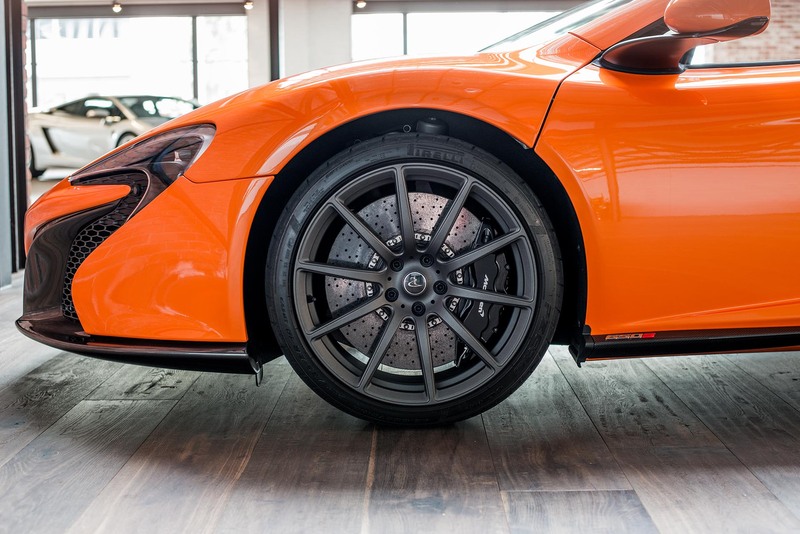 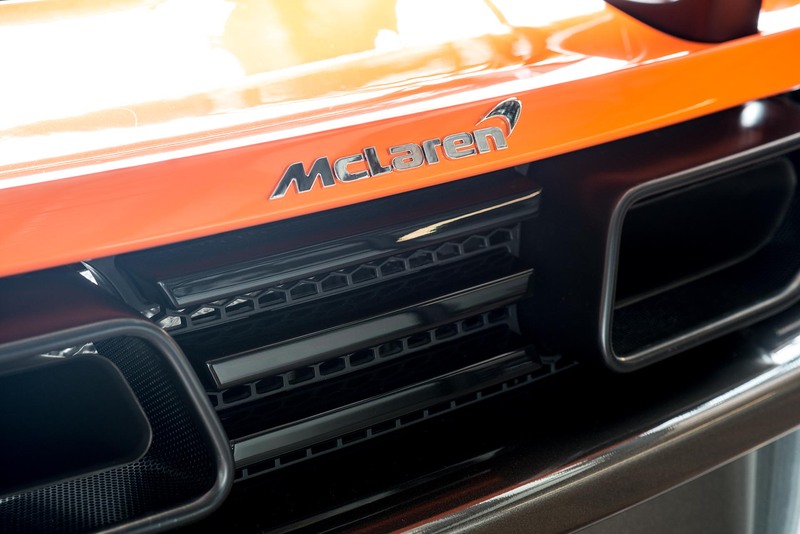 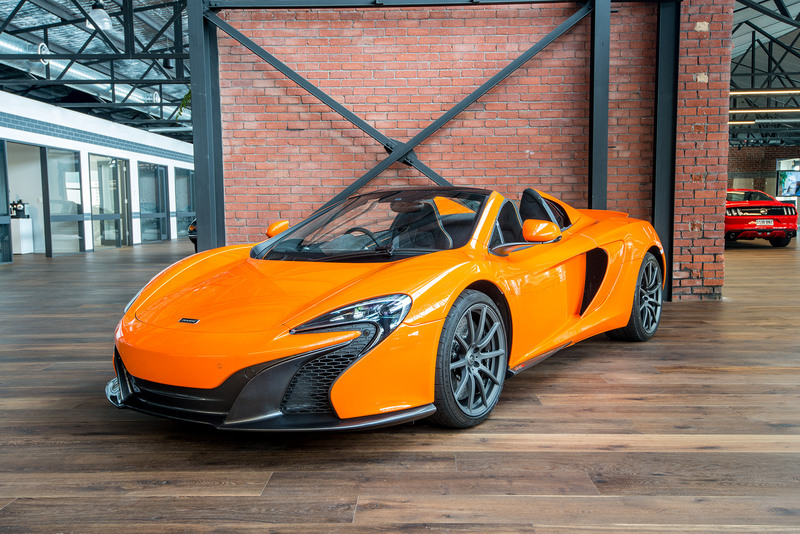 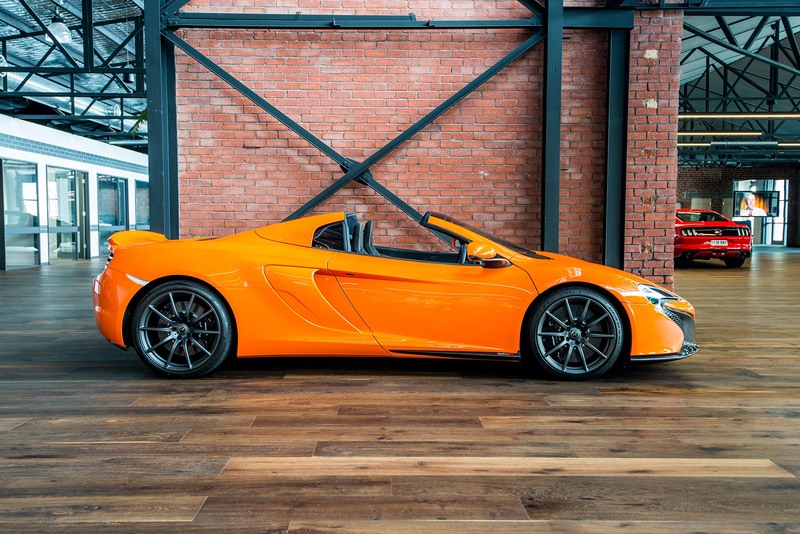 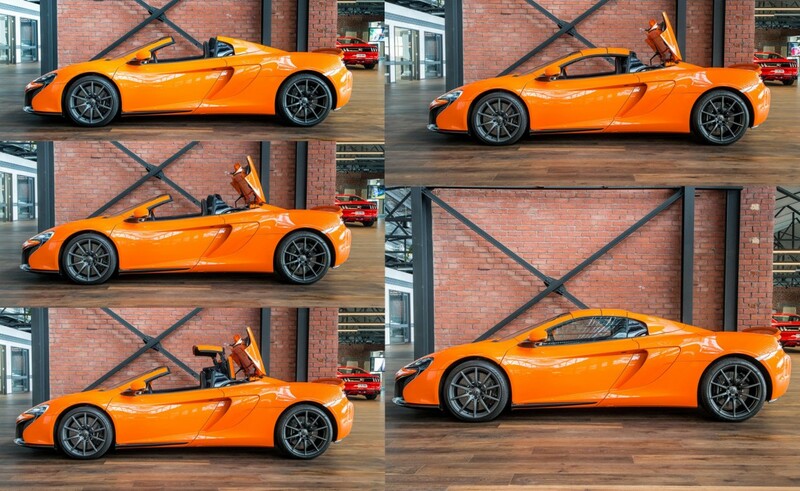 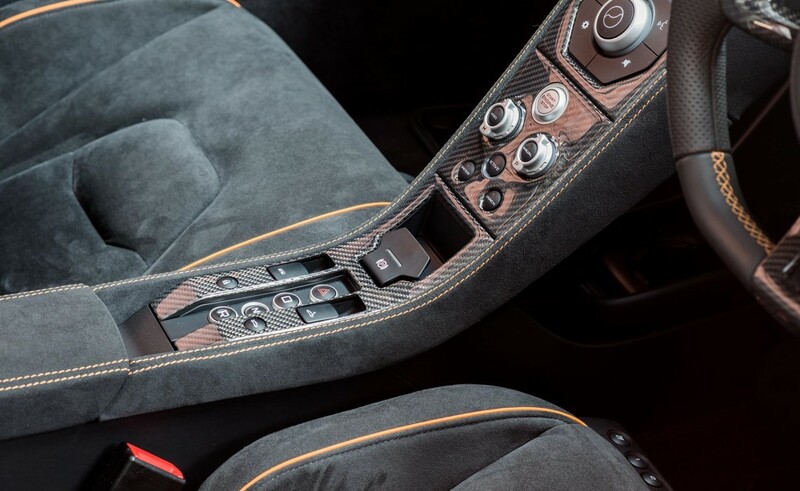 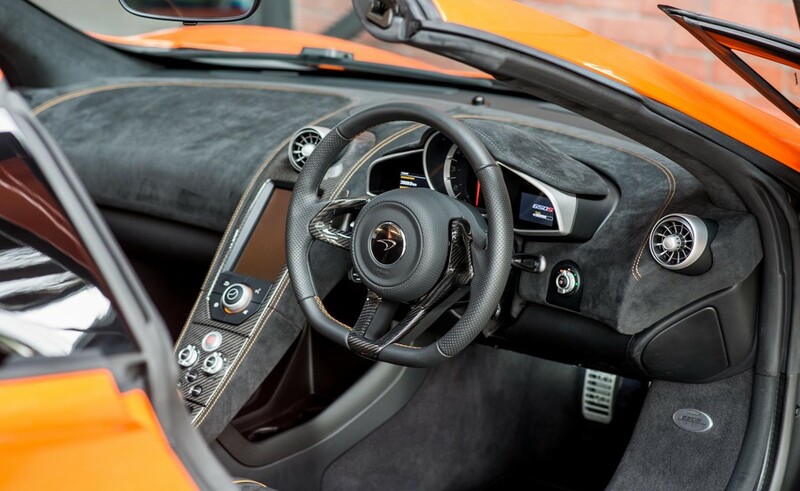 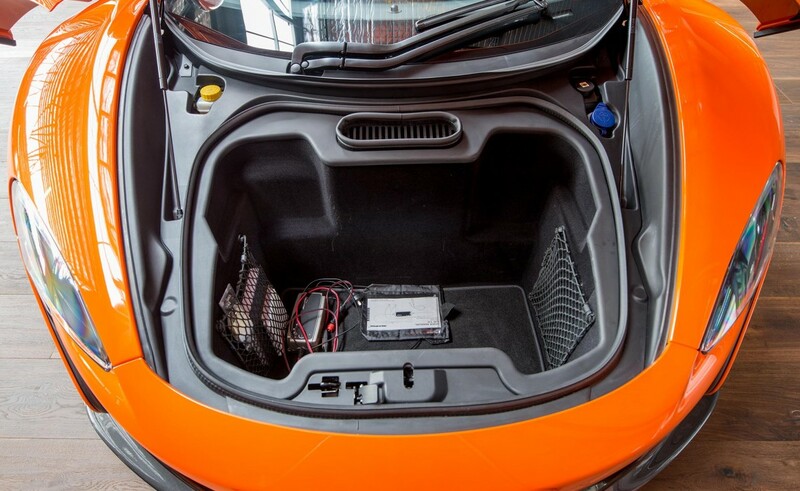 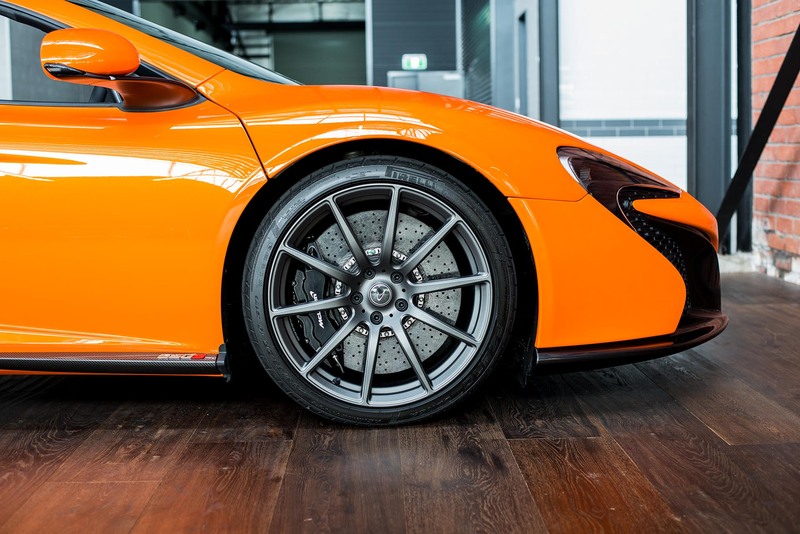 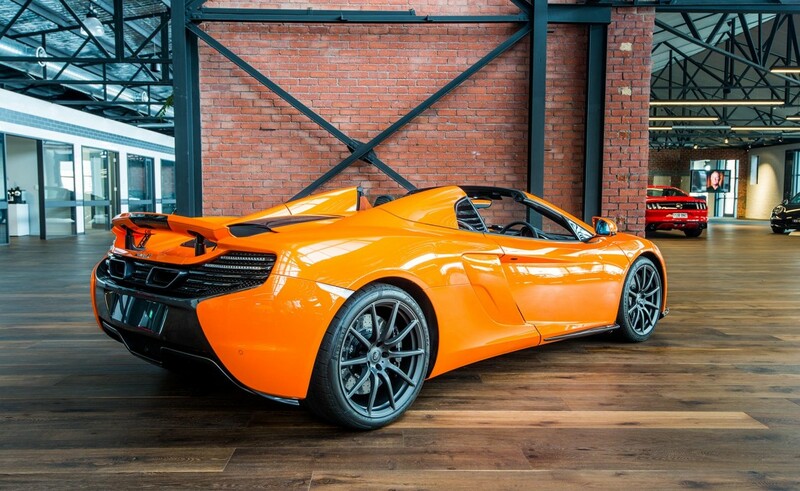 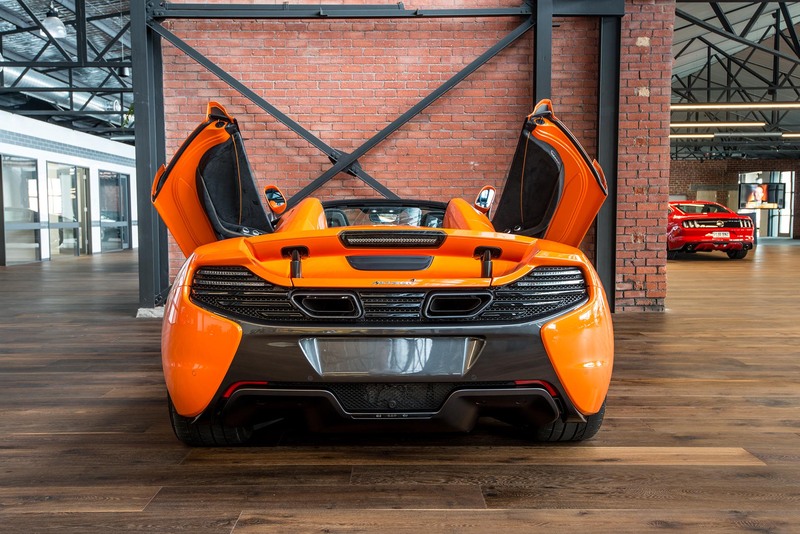 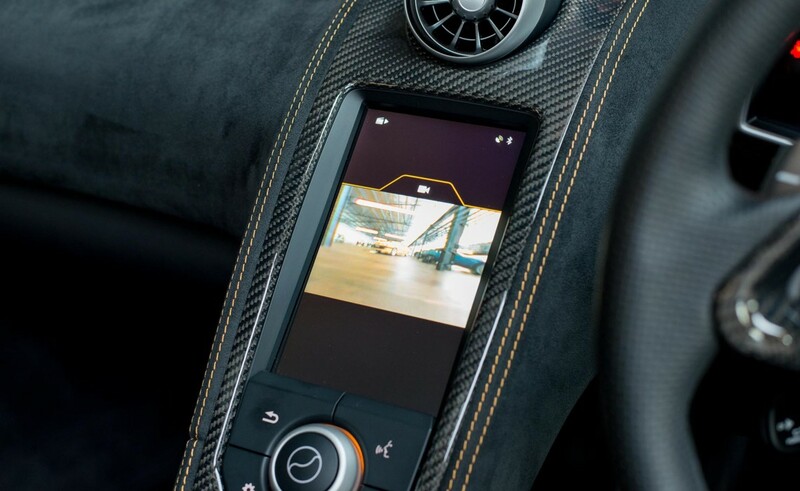 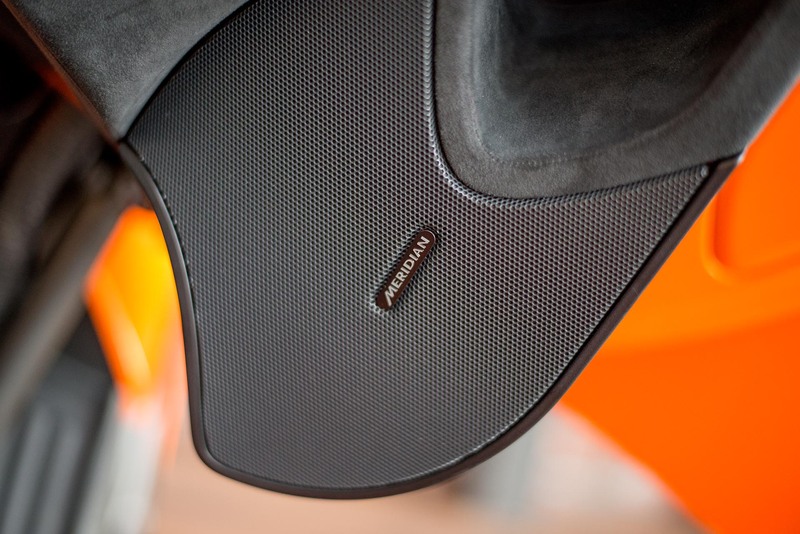 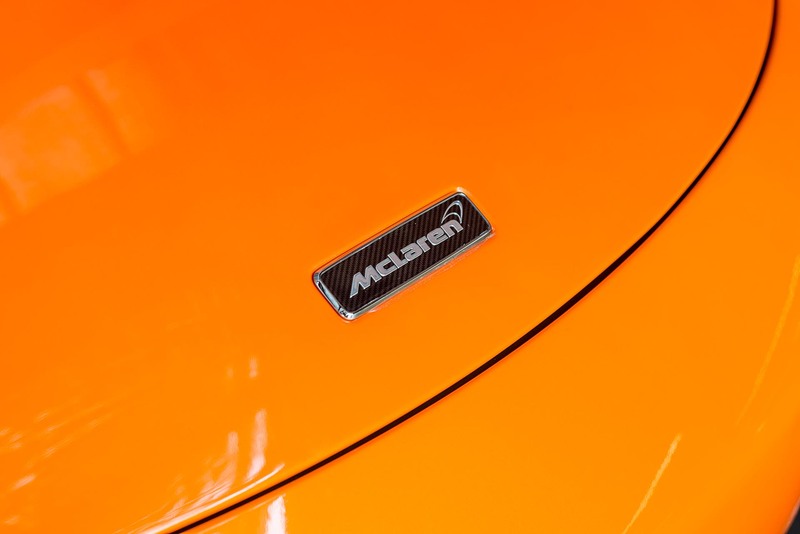 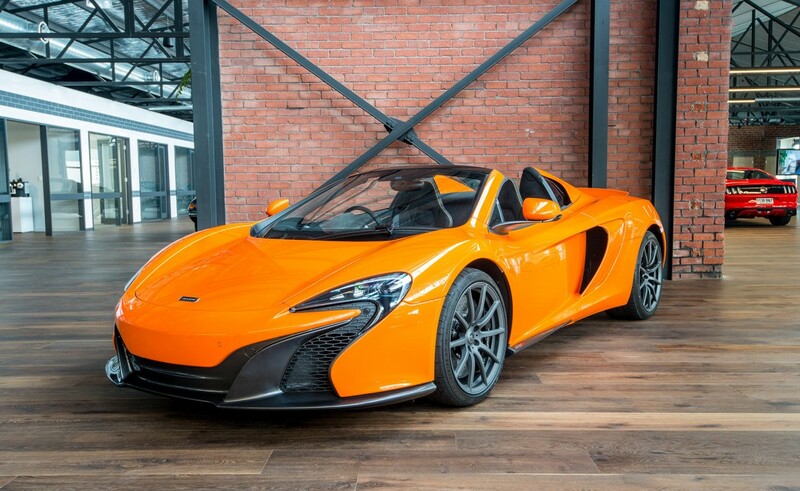 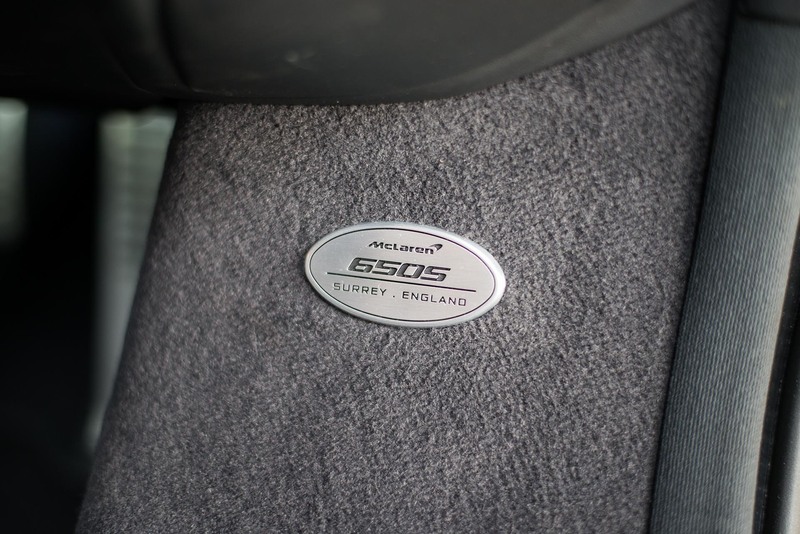 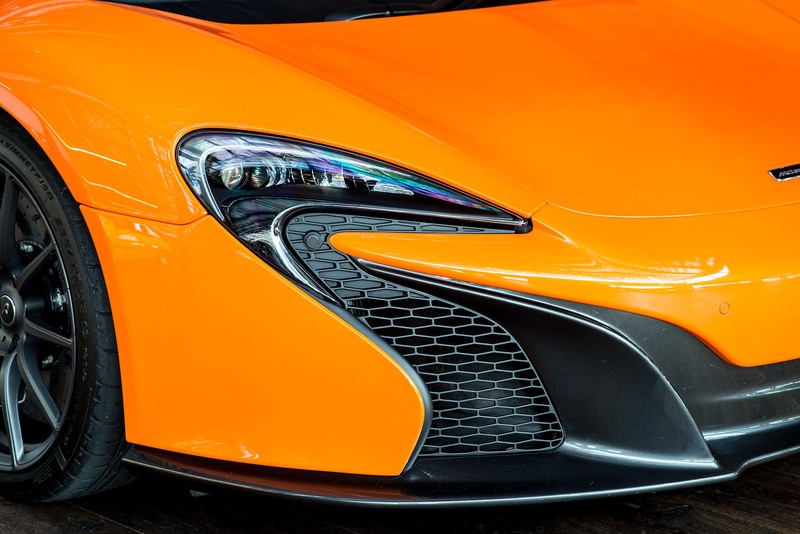 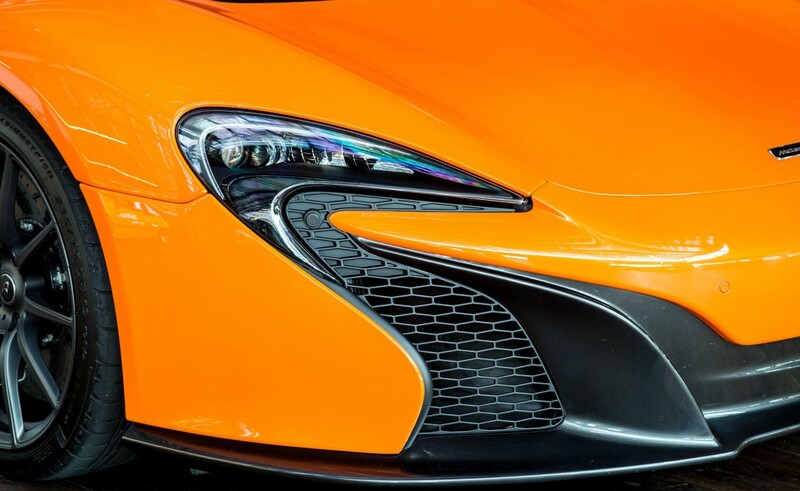 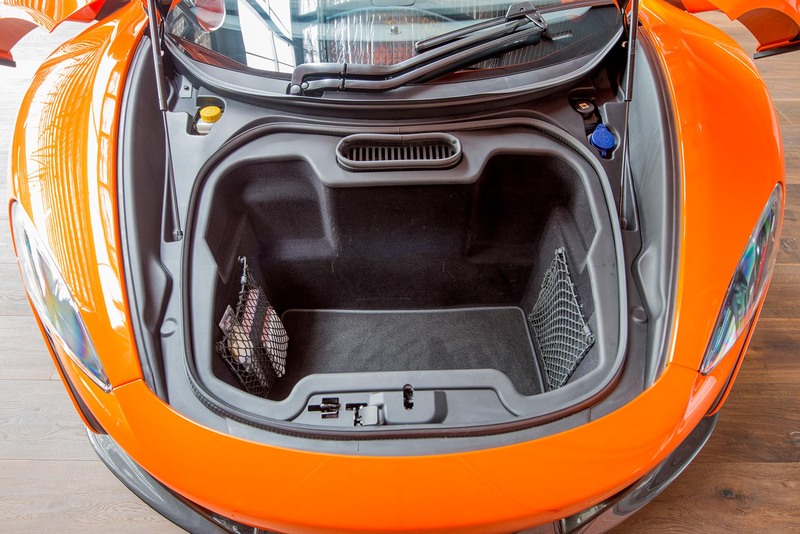 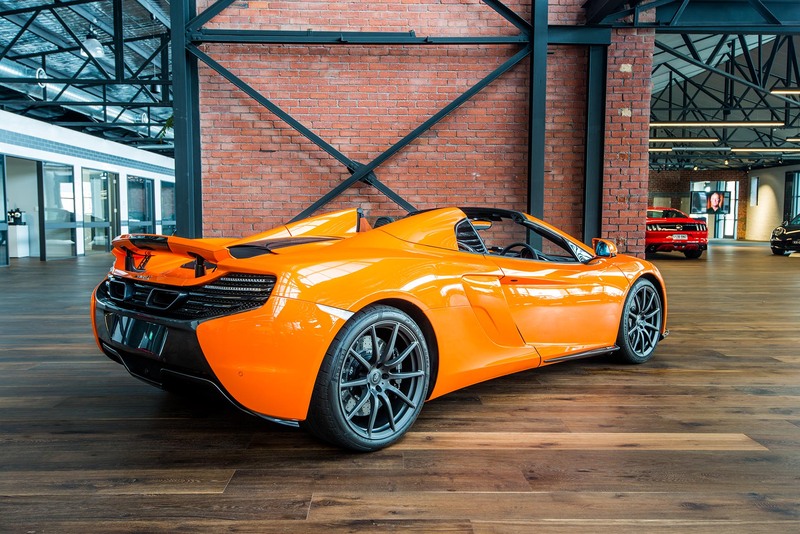 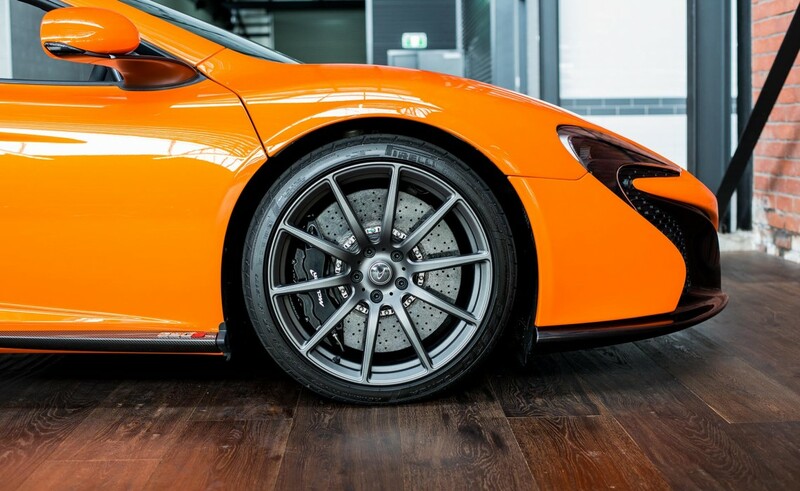 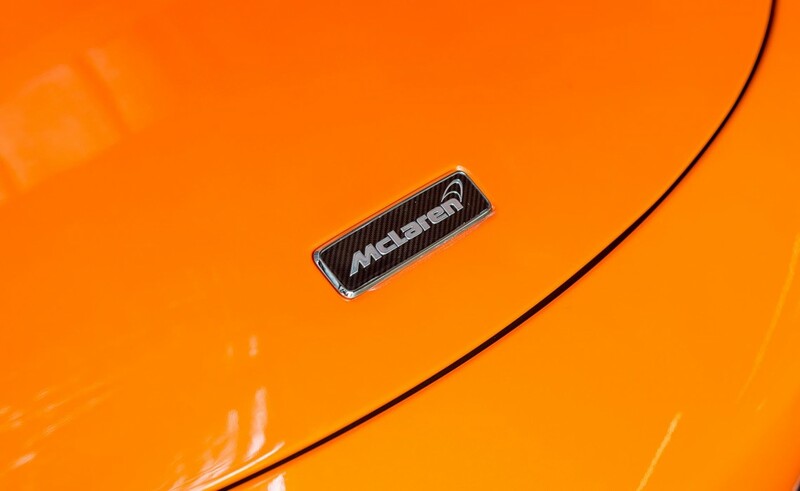 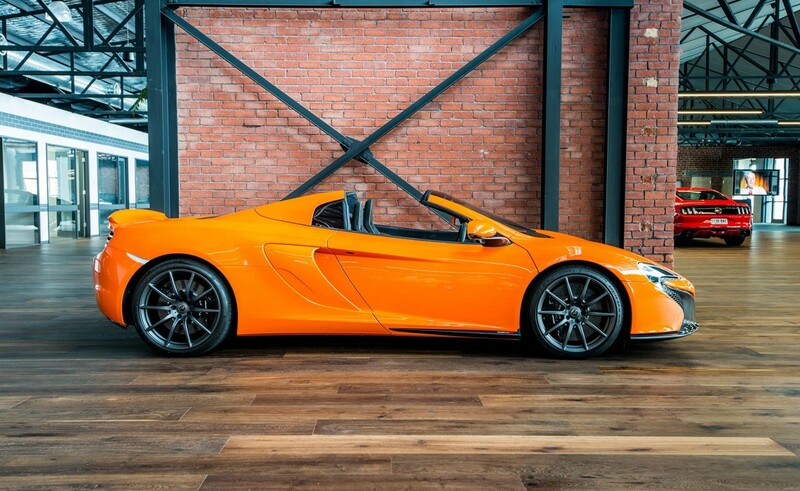 A fully electric hardtop opens at the push of a button and McLaren's carbon tub construction means the Spider shares equal rigidity with the coupe. 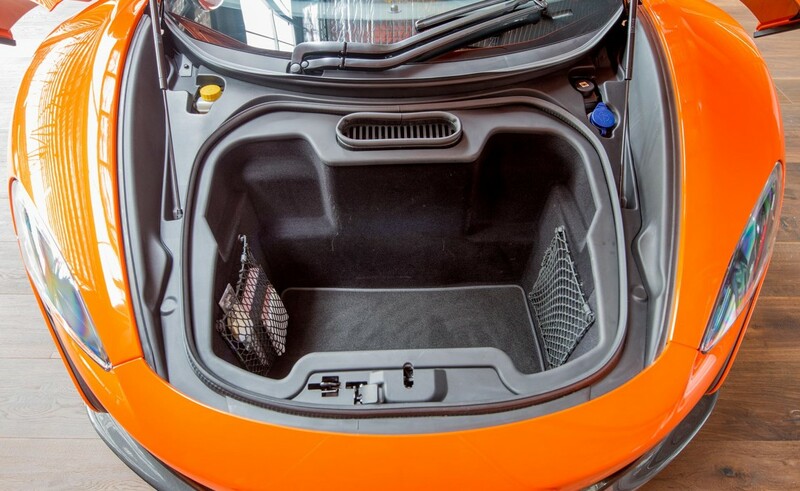 The rear window is electric and car be opened for engine sounds when the roof is closed. 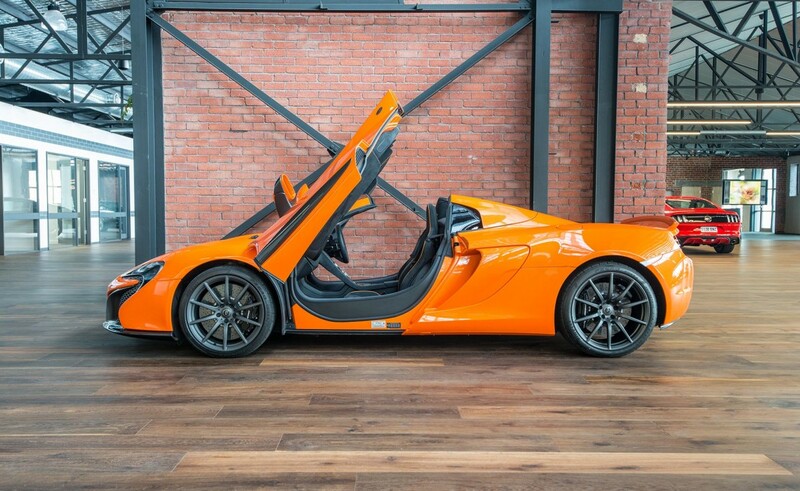 If you are looking for an excellent example, here is one to consider - privately owned and nil track work. Finance - our broker offers VERY impressive rates and prompt service.